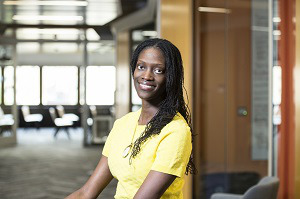 Dr. Valerie Kinloch’s commitment to engaged pedagogies, community-centered work and educational equity and justice all stems back to the lessons she learned from her mother and father while growing up in the segregated south in Charleston, South Carolina. Denied access to certain educational opportunities, Kinloch’s family’s perseverance instilled in her an understanding of the richness and complexities of who people are, she says, recalling the Black excellence and brilliance surrounding her as she grew older. Today, this understanding undergirds her work and scholarship on literacy, language and culture and community engagement of youth and adults inside and outside of the classroom. With these questions, Kinloch then works with a host of groups, including community organizations, social service agencies, school districts, teachers unions, teacher educators, superintendents and more to “really think about what is the purpose of our work, and for whom,” she says. Moreover, Kinloch’s work challenges the notion that education only happens in a traditional classroom and acknowledges various communities’ rich history of educating people, even when traditional schools did not want to, she says. “If we can reframe education from happening inside of a school to happening across all of these spaces, then I think that we would be on to thinking differently about how we prepare teacher education candidates to enter into schools and communities, but we would also bring families into conversations about what they think their kids need to know, need to learn, and need to have access to,” Kinloch says. Kinloch has engaged in this work in faculty and administrative roles at the University of Houston-Downtown, at Columbia University’s Teachers College and at The Ohio State University, where she was also associate dean of diversity, inclusion and community engagement in the College of Education and Human Ecology. She is the recipient of numerous awards and the author of several books on race and literacy, including Harlem on Our Minds: Place, Race, and the Literacies of Urban Youth and Crossing Boundaries – Teaching and Learning with Urban Youth. Kinloch received her bachelor’s degree from the historically Black institution Johnson C. Smith University and a master’s and Ph.D. degree from Wayne State University. Her current role as dean of Pitt’s School of Education makes her the first African-American woman dean at the university – an honor that is not lost on her. With a new mission-vision in place at the School of Education that encapsulates her motivation for pursuing the work she does, Kinloch says she hopes her students and colleagues not only lead with dignity and integrity, but commit to creating a system of educational equity and justice. This means engaging “in different humanizing ways by which we’re asking hard questions, by which we’re committed to transformative educational practices that foster a collective impact in education,” she says. For those who may say the work is idealistic, Kinloch offers a rebuttal: “We can start where we are,” she says, by talking about curriculum differently, by taking teacher candidates into communities to have broader conversations about learning and about access, and by having multidisciplinary groups of families, teachers, healthcare workers, and education professionals working alongside each other. “If we’re really a community of learners,” Kinloch says, “then how is it that we provide space and time for people to not just talk about their desires, but to imagine and build the type of system that allows us to do this kind of work a little more radically and revolutionarily than we have been? This article appears in the April 4, 2019 edition of Diverse.